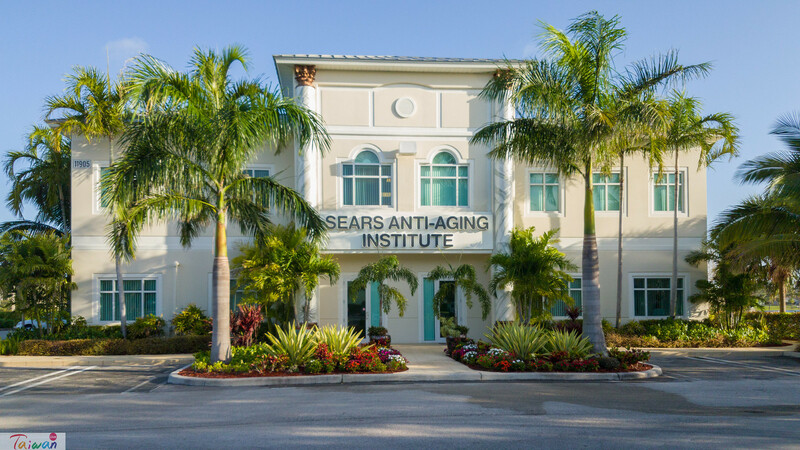 I made a quick trip to Royal Palm Beach to visit the Sear’s Institute for Anti Aging. I had many state-of-the-art tests done to determine my overall health, and to determine my biological age. More on that in a later post. What this post is about, is what happened to me on my trip…. I took a flight from Taipei to Tokyo. Then a flight from Tokyo to Dallas/Ft. Worth. While eating dinner, my flight to Palm Beach International was cancelled! The bad part is that it wasn’t automatically re-booked on their computer system. I was far away from home. I did not have a local SIM card for my mobile phone, and I had to call the airline to re-book, and also call the hotel, car rental and appointment to let them know my schedule had changed. Spending that much time on the phone using a Taiwan SIM card would have cost a small fortune. Fortunately, I had a Pocket Wi-Fi box, provided by iVideo. Let me tell you – I would have been totally lost without that service! When you rent the iVideo service, you get everything packaged in a convenient zipper case, like this. Inside, you’ll find a charger with cable, the Wi-Fi box, and instructions. It couldn’t be easier to use! This is a mobile-phone shot of the Wi-Fi box itself. One thing that I really appreciated is that the battery lasted for over 10 hours of use! 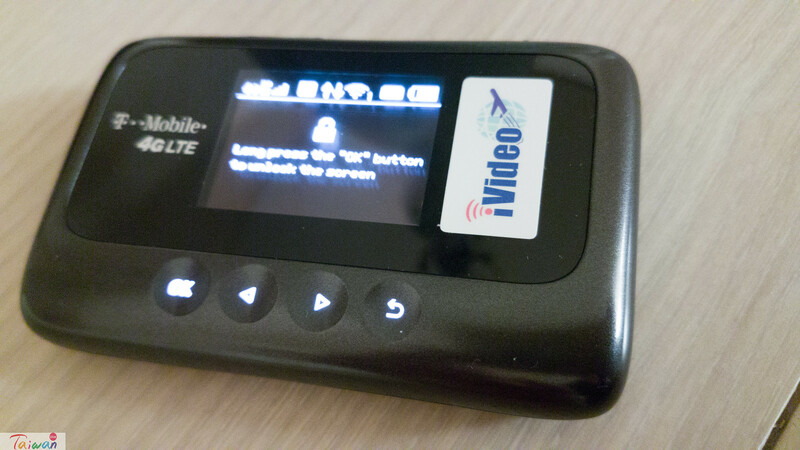 I was able to use my VoIP phone service on the internet connection provided by iVideo. I was able to re-book my flight, call the appropriate people and let them know that I was going to arrive at a different time. You need to know that my re-booked flight got cancelled too! I spent another couple of hours on the phone re-booking the re-booked flight. Finally, I arrived in Palm Beach International airport, a day late. 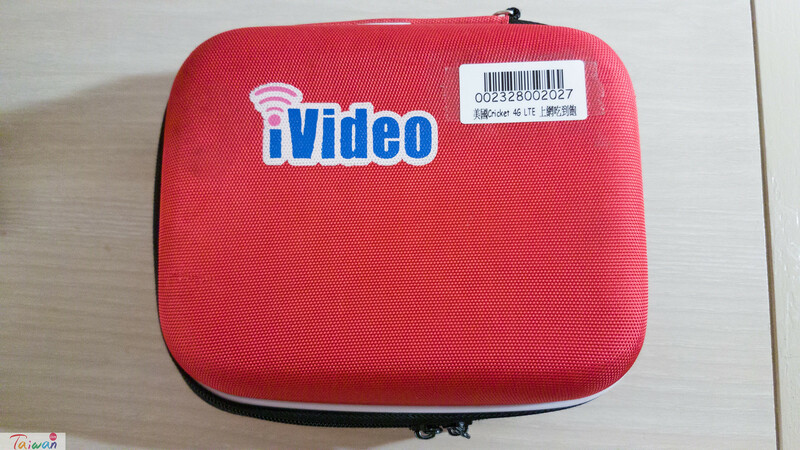 In this video I talk about the iVideo service, and I show the contents of the zippered case, including the Wi-Fi box itself. Art thank you for asking such a good question. Depending on your circumstances, there may be no advantage at all. But for me, when traveling, I always like to keep my home Sim card in my phone so anyone dialing my home number can still reach me in an emergency. If your phone has dual Sim card slots then you can keep your home and roaming cards together in one phone. In my case, an SD card is taking up the second Sim card slot, so I need to do something else. The Wi-Fi box allows me to use Wi-Fi for Internet and still keep my home Sim card in my phone in case I need to get an emergency call from Taiwan. In addition to that, if I have others traveling with me, they can simply connect to the Wi-Fi also. This negates the necessity of each person getting their own roaming Sim card. I cannot say this for certain, but others have suggested that using the Wi-Fi function on your mobile phone draws less battery power than using the mobile Internet function because the phone acts as the modem. When you use the Wi-Fi box, the box itself acts as the modem. My own experience tends to support that contention. Another advantage of the Wi-Fi box is, you can place it near the window or a doorway where it can easily communicate with the mobile network, while propagating a Wi-Fi network that you can connect to deeper inside the building. I can’t tell you how many times I’ve done a livestream, where I left my Wi-Fi box at the front of the building where I knew I had good reception and then just walked around inside the building connected to Wi-Fi. I want to thank iVideo for providing me their wonderful service on this trip – and it saved the day! For those of you interested in renting a Pocket Wi-Fi box for the next trip to Taiwan, Japan, UK, other parts of Asia, or the USA, please use the code: THENHBUSHMAN for 10% off your first rental! iVideo also offers international SIM cards with unlimited Internet. Thanks for reading! Please leave us your comments below!